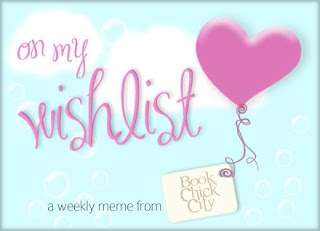 On My Wishlist is a fun weekly event hosted by Book Chick City and runs every Saturday. It's where you can list all the books you desperately want but haven't actually bought yet. They can be old, new or forthcoming. Maria, an only child, comes to spend the summer holidays with her family in Lyme Regis. She finds a sampler stitched by a girl, Harriet, in 1865 and it becomes clear that something odd happened to Harriet - but what? This was originally published in 1994 but has been reissued with a new cover recently. Published by Quercus in October. When Goose's parents are killed in a car crash on Christmas Eve, his life changes utterly. Living with his increasingly senile Nan, his dog Mutt is the only thing keeping him sane. His only other friend is Frank, a former friend of his father. Frank's own life is falling apart and he has recruited Goose to help him carry out petty theft around the city. A year to the day since the accident that changed his life, Goose meets Anthony, a strange man who has forgotten who he is, but seems to know more about others than they know about themselves. When Mutt goes missing, Goose has no choice but to rely on Anthony to help find him. In an adventure that draws in Frank, who's lost his family, an old lady who's lost a precious bangle, an elderly doctor who's lost his wife and mother who's lost her daughter, Goose follows Anthony across Manchester. But at the centre of the mystery is Anthony himself: who is he, how does he know so much and can he help Goose and the others find what they're searching for? A delight to read from start to finish, David Logan takes the reader on a terrific journey through love, loss and the quest for home. I found this one on Book Chick City and I believe it is soon to be published in the UK. In 1888, following her mother’s sudden death, seventeen-year-old Arabella Sharp goes to live with her grandmother in a posh London neighborhood. At her grandmother’s request, Abbie volunteers at Whitechapel Hospital, where she discovers a passion for helping the unfortunate women and children there. But within days, female patients begin turning up brutally murdered at the hands of Jack the Ripper. Even more horrifying, Abbie starts having strange visions that lead her straight to the Ripper’s next massacres. As her apparent psychic connection with the twisted killer grows stronger, Abbie is drawn into a deadly mystery involving the murders, her mother’s shadowed past, and a secret brotherhood of immortals—who’ll stop at nothing to lure Abbie into its “humanitarian” aims. I will stop drooling over books now! Ooh... I really like Penelope Lively and A Stitch in Time sounds great. Ooo, I want/need to read Cinder. It sounds so good. Great picks! Judging by the covers alone I can see why they are on your wishlist! 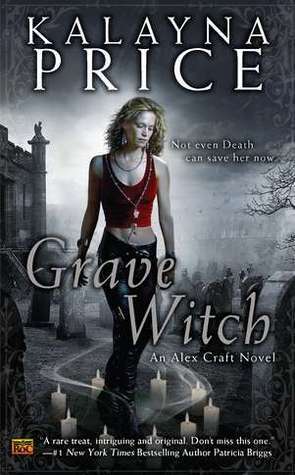 Grave Witch should be on its way to me soon :) I do hope it is good. Great wish list! I hope you don't have to wait long for the books. 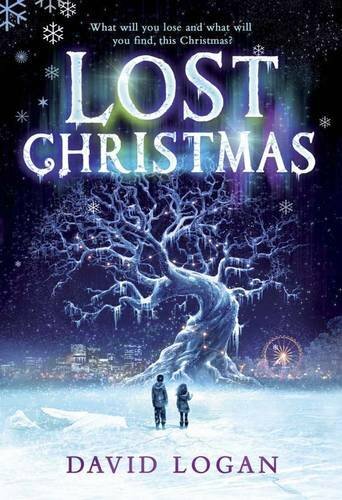 Loving the cover of Lost Christmas, not too sure about the cover of Cinder though. Holy Amazing Book Overload Batman!! Lost Christmas sounds so absolutely amazing, and the cover is to die for! Check out what I'm wishing for! I loved Grave Witch - so glad it's getting published in the UK. My blog has just been presented with a Liebster Blog Award and I’d like to award it to you too! If you go to my blog I’ve posted a bit about it there and you can collect it by dowloading a copy of the picture at the bottom of the sidebar. I've heard a lot of good things about Cinder, will have to keep an eye out for it. Wow! May all your "wishes" come true! Cinder looks awesome, I was accepted on net galley for it but haven't read it yet! Also a stitch in time and lost Christmas sound awesome! Love the new look! 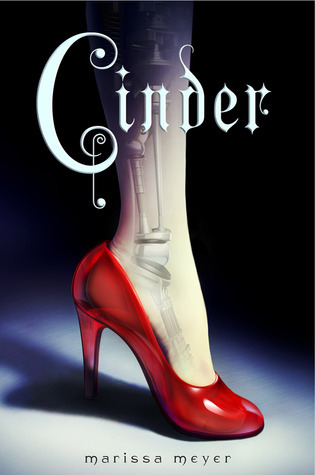 The cover of Cinder is so nice to look at. I've got a galley of Cinder on my Kindle and am really looking forward to reading it. I hope you get a chance to read it too!